Everything was great. We would like to come back again. Management went out of their way to help us with references to last-minute shopping, electronic printing services and always being available to answer any questions. When the washing machine broke down, a technician showed up the same day. When Tech was unable to fix it, then a brand-new washing machine was delivered the very next day! Love the fact that U-Bahn station and the Prater are just within a short walking distance. Our flat was very updated and cozy. Kitchen has everything needed to put a meal together. Very clean and organized. The fact that there is a lift in the property made our life a lot easier. We felt very safe with a great locking system and a secure entrance to the building. 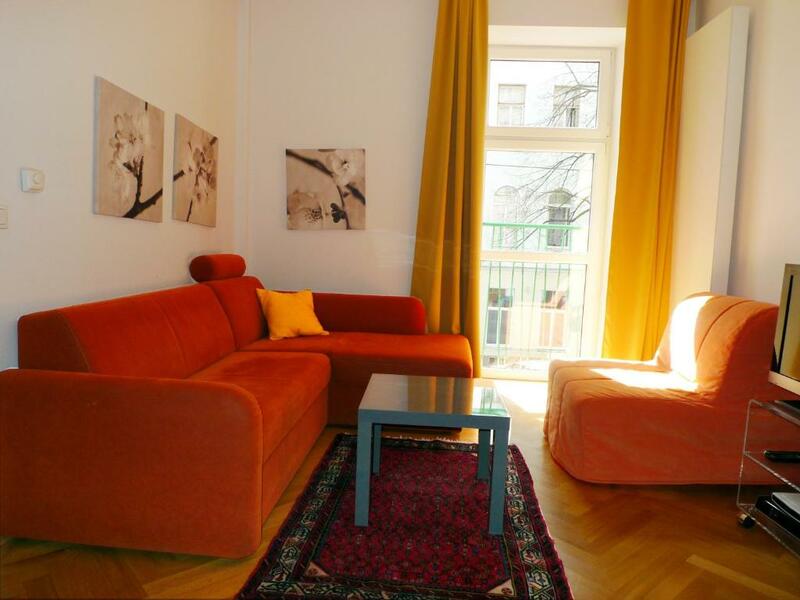 It is a great place to stay and enjoy the beautiful city of Vienna! 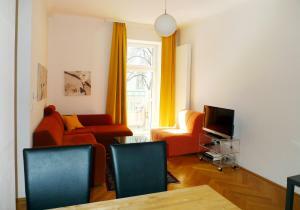 The apartment was clean, comfortable, with excellent location close to the Prater. Fantastic location, close to subway station and supermarket, apartment all equipped and clean. The hostess is very kind and helpfull. If go back to Wien, we will stay in this apartment again. Hello Johanna! Thanks very much for all attention and reception. Cozy, nice and comfortable. Everything is perfect. Would like to stay here the next time in February, but it's already booked. The apartment is very spacious. For a couple with one little kid like us, the size of it was very comfortable. The kitchen was well equipped with implements and appliances. Comfortable beds. Paul was really nice. 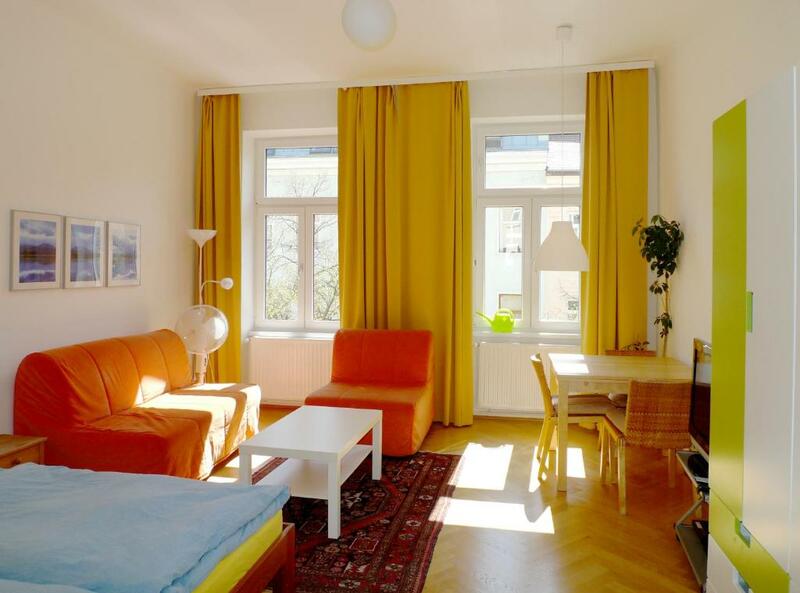 It's a very comfortable flat and close to everything you need: subway station, supermarket, the Danube green area, etc. I would go back any time. Nice apartment, very well equipped, clean, quiet, and easy to go to Ubahn station. This is one of the best experiences of my stay in a hotel/apartment including pas experiences with some luxury hotels in various countries. Very nice host, extremely in a nice place, clean and comfortable apartment, close to the metro station, well-equipped kitchen, internet facility was good, very nice amusement park and park close by (10 min walk), comfortable beds. Recommend to experience. Very good mattresses, fully equipped kitchen, quiet but central location. 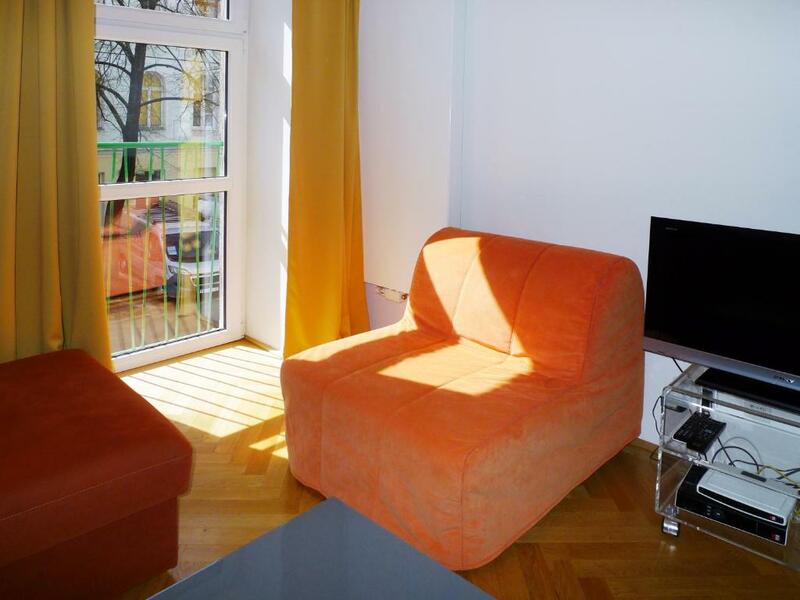 Lock in a great price for City Apartments Wien - Viennapartment – rated 8.9 by recent guests! City Apartments Wien - Viennapartment This rating is a reflection of how the property compares to the industry standard when it comes to price, facilities and services available. It's based on a self-evaluation by the property. Use this rating to help choose your stay! One of our top picks in Vienna.Enjoying an excellent location in Vienna’s second district, near the city center and the underground, the City Apartments Wien offer newly renovated and comfortably furnished apartments with one and two rooms for up to 5 people. Each apartment features a complete kitchen, a bath with shower, a washing machine, TV and broadband Internet. Sheets, linen and towels are provided. Many shops and restaurants can be easily reached by foot. A metro station with U2 Line is only a 2-minute walk away. The building is located in a calm side street with many trees close to the Congress Center - Messe Wien and the Vienna Prater with its famous Giant Ferris Wheel. On request, you can also rent a parking place in the garage nearby. The property have only a limited number of parking places. 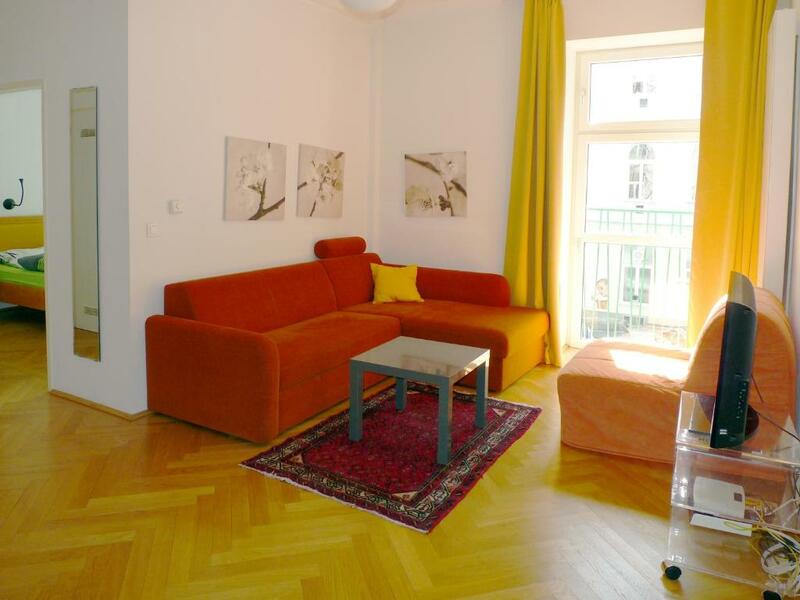 When would you like to stay at City Apartments Wien - Viennapartment? This apartment is set on the 3rd floor in a building with a elevator and has a spacious living room with 2 sofa beds and cable TV. A complete kitchen comes with stove, fridge, dishwasher, coffee maker, water boiler, toaster, microwave. A private bathroom is fitted with a shower and a washing machine. 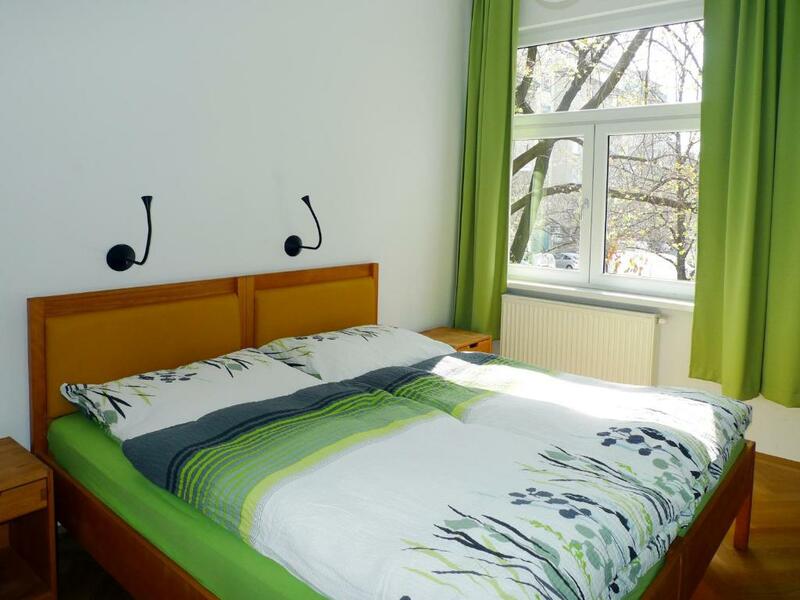 This apartment has 2 spacious rooms that can be entered separately. This apartment has a washing machine in the bathroom, the kitchen comes with dish washer, sitting place, 2 fridges, microwave, coffee maker, toaster and all implements you need for cooking. This apartment features a washing machine, microwave and seating area. This apartment features a seating area, cable TV and tile/marble floor. This studio features a dining area, seating area and dishwasher. Ich reise selber gern und viel und freue mich immer, wenn ich mich auf Reisen wie zu Hause fühlen kann - in einer Wohnung und nicht im Hotel. Ich bin von ganzem Herzen Gastwirtin und möcht dass sich meine Gäste bei mir wohlfühlen. Die Wohnlage der Unterkunft finde ich besonders gut. Sie ist sehr zentrumsnah und nur 2 Minuten von der U-Bahn entfernt, und hat dennoch sehr viel grün, in der Straße gibt es eine Allee, sodass man Bäume vor den Fenstern hat. Ganz in der Nähe gibts den grünen Prater, mit ausgedehnten Wiesen und Wäldern und kleinen Teichen. Die 8 km lange Hauptallee ist für den Autoverkehr gesperrt und steht den Spaziergängern, Radfahrern, Inlineskatern usw. zur Verfügung. Auch ganz in der Nähe des Apartments befindet sich die Donauinsel, das Badeparadies der Wiener mit ausgedehnten Stränden, die sich über viele Kilometer ziehen. Für Geschäftsreisende ist natürlich die unmittelbare Nähe zur Messe Wien mit dem Kongresszentrum interessant. Und nicht zuletzt befindet sich die neue Wirtschaftsuniversität und die Freud-Universität in bequemer Gehdistanz zum Apartment. House Rules City Apartments Wien - Viennapartment takes special requests – add in the next step! Room service is available on request and at an additional cost. Please note that the property only has a limited number of parking places. If they can not offer you a place, the reservation can be canceled free of charge. Please inform City Apartments Wien - Viennapartment of your expected arrival time in advance. You can use the Special Requests box when booking, or contact the property directly using the contact details in your confirmation. Sometimes I could hear the neighbours quarrelling in the middle of the night. All facilities that I needed were present. Friendly host Paul. Calm neighbourhood. The sofa bed wasn't comfortable. 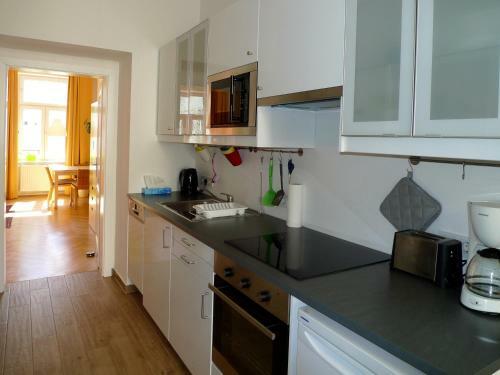 Location and quietness plus well equipped flat. It was fine. Everything was ok. Perfect location. Apartment nice and clean. Location. Very close to the Messe! 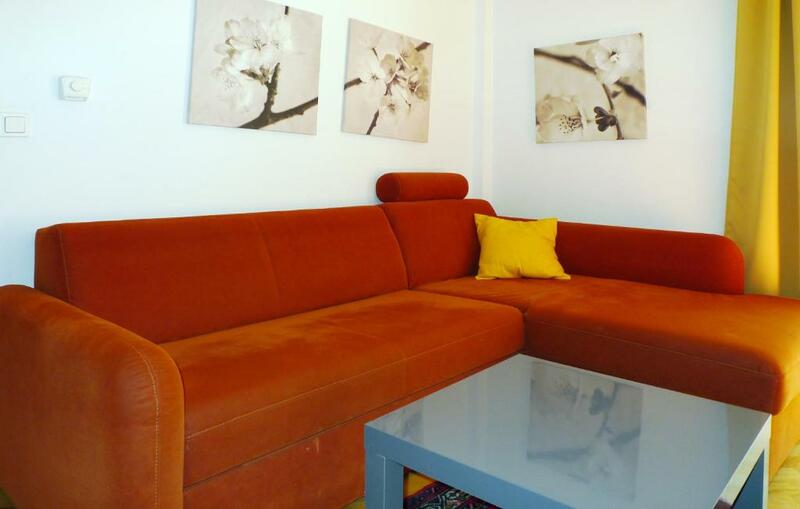 We booked this apartment because of its high rating in the reviews and because the photographs looked nice. We were very disappointed to be met with a very tired apartment in dire need of renovation... Incredibly squeaky floors, with exposed nails at places, doors that wouldn't close and accumulation of dust and dirt from years and years. To put it lightly, your socks will get black after just looking around the flat once. The fancy looking shower cabinet had a door about to collapse and would create a flood on the floor every time we dared to shower. The spiderwebs and old dirt that were visible behind the cabinet were not a pleasant sight every morning while brushing teeth. The WC room could have used a handsoap and certainly a door that would actually close... The floor mats in the two rooms desperately need a thorough washing, as their white fringes are literally black from dirt, or replaced altogether. The sad entrance to the building was at least getting renovated while we were there, so that will probably not be a bad feature anymore for next guests. I guess we did not score one of the apartments other guests have rated so highly? In any case, check twice before booking! The entrance of the building very updated and sad looking!